In 1993, Volvo ceased its bus production in Workington and the production continued in Volvo's own Irvine plant. 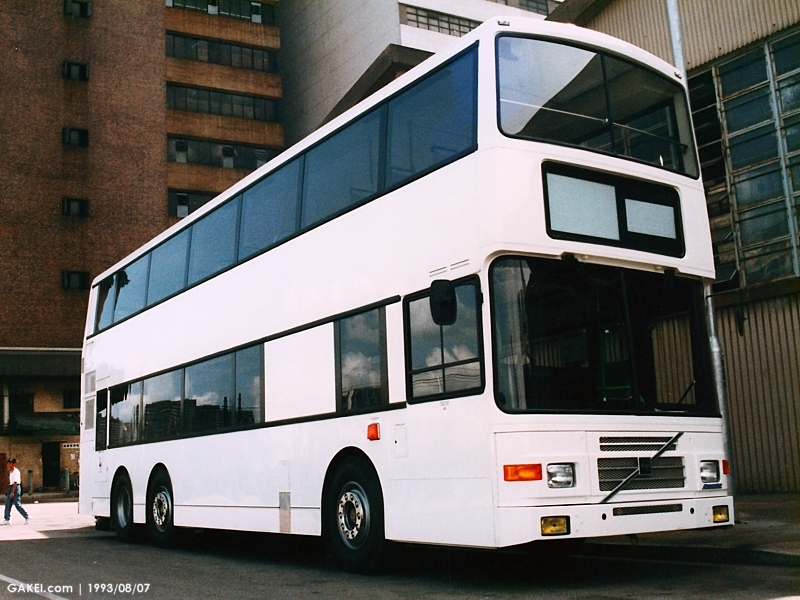 The name "Olympian" was kept for the modified product of Leyland Olympian and is known as "Volvo Olympian". 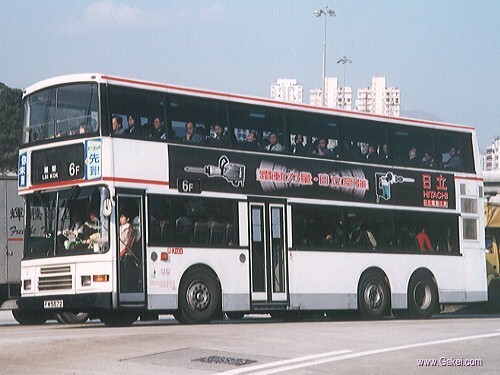 First Volvo Olympian in Hong Kong is shown on this page. By the model "53.80", we know that it was a prototype. In fact, it was the world's first air-conditioned Volvo Olympian. Walter Alexander's R-type body was used, which was similar to those of its ancestors. 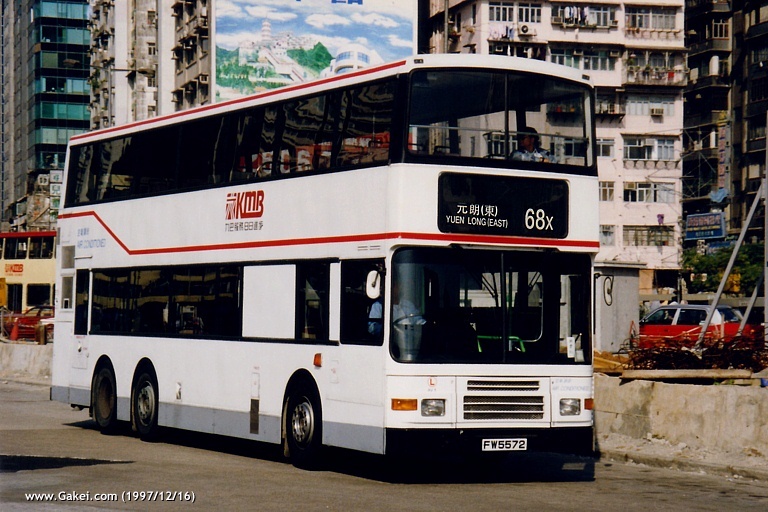 Instead of assembling in the Tuen Mun Depot of Kowloon Motor Bus ("KMB"), which was the normal practice, the body was completely-built-up by Alexander in Falkirk prior to shipment. This bus was a 11-metre 3-axle version, and was powered by a Volvo TD102KF engine with ZF 4HP500 4-speed transmission. This bus was delivered to KMB in Autumn 1993, but was remained unregistered until 10 January 1994. The registered mark of the bus was FW 5572. 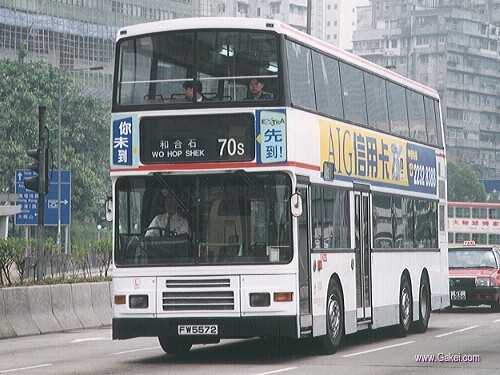 KMB allocated "AV" as the fleet number prefix to this type of bus, and this bus was numbered as AV1. One of the distinct features of AV1 was the Volvo badge on the radiator grille, which was once the largest one among those on all the Volvo Olympians in Hong Kong. Sadly, after involving into a serious traffic accident in December 1996, the badge was broken and no longer be found on the front of the bus. AV1 had subsequently re-entered into service after a more-than-a-half-year repairing work.